I’d rather watch this than a terrible halftime show and field goals. It is time to come out and admit my dirty secret: I love the “Twilight” franchise. If I’m having a particularly rough week, nothing kills my bad mood like a good dose of Edward Cullen. However, you’ll never find me sharing my weekend plans when a vampire marathon is on the schedule. If anything, I sit in my room with headphones on, under a blanket, in the dark, lest anyone should know what I’m doing. It’s my “guilty” pleasure. If you have never admitted to having a guilty pleasure, surely, you’ve heard someone else admit to having one. Frequently, I hear my friends say that “The Bachelor,” romance movies or even cookies are their guilty pleasures. Interestingly, it seems most of the things that people equate to guilty pleasures are feminine. So, why is it that when I tell my friends I would rather watch “Twilight” than the Super Bowl, I feel as if I’m breaking some unspoken code. I either have to subject myself to watching the Patriots for four hours in pretend-enjoyment or be judged for spending time watching something I actually enjoy. In case you’re wondering, I did record the Super Bowl. 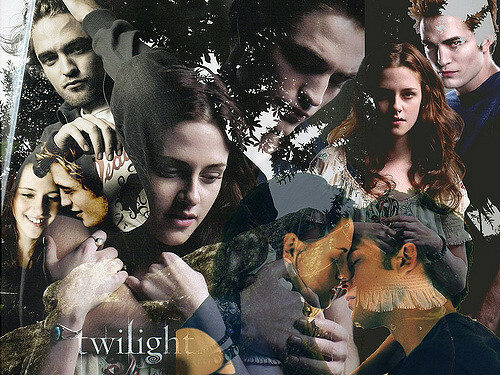 A lot of people might argue, “Well, ‘Twilight’ is pretty terrible.” While I will not deny that the series leaves me wanting more in the dialogue department, I can think of plenty of things that are objectively “bad” but subjectively really amazing. One could easily argue alcohol, reality shows, anything from Taco Bell and living in Fargo in February are “bad.” However, seeing as “The Bachelor” is one of the more watched shows on television and we’re all still in this forsaken city, every single one of us are participants in “bad” behaviors. Chastising people for watching “Twilight” or eating an extra slice of cake should not be deemed normal. Labeling things people find pleasurable as worthy of guilt is only reinforcing double standards toward any activity not overtly masculine. Women should not feel embarrassed about reading their favorite romance novel, just as men rarely feel embarrassment cheering on a losing sports team year after year. In case you’re wondering, I did record the Super Bowl. However, I fully intend on just fast-forwarding through all the football to watch the commercials and the halftime show, 100 percent guilt-free.